We’re celebrating 15 years since we launched our customer favorite, Performance Peel AP25. Celebrate with us and enter the #MyAHAPeel Challenge! Formulated with 25% Glycolic, Mandelic and Polyhydroxy Acids to improve skin texture, tone and pore size to deliver overall enhanced radiance. What is the #MyAHAPeel Challenge? It’s simple. Boost your radiance and improve the overall appearance of your skin in just 6 weeks with our professional-level at-home peel. Purchase Performance Peel AP25 today and receive a FREE Get Glowing Facial Collection + FREE Shipping. Once entered, you will receive exclusive weekly skincare content to help you along your 6-week personalized journey. Take photos of your experience and post to Instagram and/or Facebook using #MyAHAPeel to qualify for a chance to win $100 toward an Exuviance.com® order*. See specifics below on how to enter this challenge. Click here to sign up for the challenge. After you sign up, add the product to your cart. Use code ‘MyAHAPeel’ at checkout on Exuviance.com and you will receive a complimentary Get Glowing Facial Collection (a $45 value) and FREE shipping. Your skin will be thanking us with this radiance-boosting facial! If you already purchased Performance Peel AP25 at your local Ulta store, not a problem! Join the challenge by submitting your information here. What is Performance Peel AP25? A skin exfoliator that is formulated to brighten, smooth, refine and firm. Cleanse the face with a gentle, effective cleanser such as Exuviance® Purifying Cleansing Gel. Apply a Step 1 Activator Pad over the entire face, avoiding eye area, lips and any area of sensitivity. Then discard the pad. 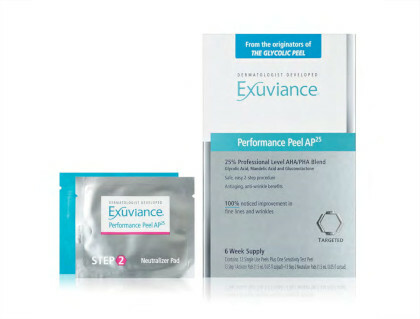 Exuviance® Performance Peel AP25 may be used up to twice weekly, as tolerated by your skin. For optimal results, use Performance Peel AP25 up to 2 times a week, as tolerated. Reduce frequency of use if skin becomes uncomfortable, irritated, or if bothersome peeling occurs. What Are the Proven Results? Receive a free Get Glowing Facial Collection and FREE ground shipping with your purchase of Performance Peel AP 25 . Offer is available February 11, 2019 – May 31, 2019 at 11:59 PM ET. Exclusions and/or purchase limitations may apply. This offer is only available at Exuviance.com and may not be utilized via phone orders. This offer may not be redeemed for cash and no adjustments to prior purchases will be made. International orders, shipments to PO Boxes or APO/FPO addresses are excluded from this promotion. All purchases are subject to bank authorization prior to processing and only authorized orders will be processed and shipped. No rainchecks will be extended. Exuviance.com reserves the right to modify or terminate this promotion and its terms and conditions without notice. ELIGIBILITY: MyAHAPeel Challenge Sweepstakes (the “Sweepstakes”) is open only to legal residents of the fifty (50), United States and the District of Columbia who are at least eighteen (18) years old or the age of majority in their state of residence at the time of entry. Employees of Neostrata Company Inc. (“Sponsor”), Johnson & Johnson Consumer Inc., and their respective parents, affiliate companies, subsidiaries and advertising and promotion agencies and fulfillment providers, as well as the immediate family (spouse, parents, siblings and children and their respective spouses, regardless of where they reside) and household members of each such employee, whether or not related, are not eligible. The Sweepstakes is subject to all applicable federal, state, and local laws and regulations and is void where prohibited. Participation constitutes entrant's full and unconditional agreement to these Official Rules and Sponsor's and Administrator’s decisions, which are final and binding in all matters related to the Sweepstakes. Winning the prize is contingent upon fulfilling all requirements set forth herein. PROMOTION PERIOD: The Sweepstakes begins at February 11, 2019 at 12:01 a.m. Eastern Time (“ET”) and ends on May 30, 2019 at 11:59 p.m. ET (“Promotion Period”). Post must be in keeping with Sponsor’s image and not be offensive or inappropriate, as determined by Sponsor in its sole discretion. Challenge Post must not defame, or violate or infringe upon the rights of, any person or entity. 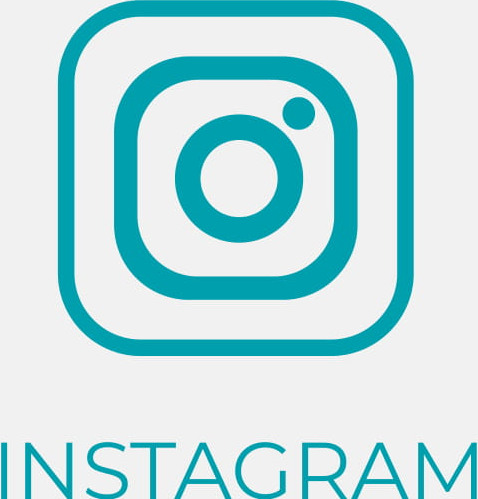 Sponsor reserves the right to disqualify any Challenge Post that it determines, in its sole discretion, is not in compliance with these Official Rules. WINNER DETERMINATION: Winner determination is through the #MyAHAPeel tag on Facebook or Instagram. Three (3) winners will be randomly selected who posted during the sweepstakes promotion period and be reposted on the Exuviance brand Facebook and Instagram social media pages. Decisions of Sponsor are final and binding in all matters. PRIZES:. A $100 voucher in the form of a unique promo code will be awarded to each monthly winner via direct and/or private message on his/her Instagram and Facebook to be used toward one Exuviance order on Exuviance.com. The $100 voucher must be used in one individual session on Exuviance.com. Prizes are awarded “as is” with no warranty or guarantee, either express or implied. Winners may not substitute, assign or transfer prize, but Sponsor reserves the right, at its sole discretion, to substitute prize (or portion thereof) with one of comparable or greater value. Winners are responsible for all federal, state and local taxes as well as any other costs and expenses associated with prize acceptance and use. All prize details are at Sponsor’s sole discretion. Limit one (1) Prize per person. Odds of winning the prize depend on the number of eligible entries received during the Promotion Period. Approximate Retail Value of each prize (“ARV”): $100. PUBLICITY GRANT: Each winner, by acceptance of a prize, except where legally prohibited, grants permission for Sponsor and its designees to use his/her name, user name, address (city and state), photograph (including, without limitation, profile photo), voice and/or other likeness and prize information for advertising, trade and promotional purposes (including, but not limited to, announcing winner’s name on the website) without further compensation, in all media now known or hereafter discovered, in any manner, worldwide in perpetuity, without notice or review or approval. LIMITATIONS OF LIABILITY: Released Parties (as defined below) are not responsible for lost, late, incomplete, inaccurate, stolen, delayed, misdirected, undelivered or garbled emails; or for lost, interrupted or unavailable network, server, Internet Service Provider (ISP), website, or other connections, availability or accessibility or miscommunications or failed computer, satellite, telephone or cable transmissions, lines, or technical failure or jumbled, scrambled, delayed, or misdirected transmissions or computer hardware or software malfunctions, failures or difficulties, or other errors or difficulties of any kind whether human, mechanical, electronic, computer, network, typographical, printing or otherwise relating to or in connection with the Contest, including, without limitation, errors or difficulties which may occur in connection with the administration of the Contest, the processing of entries, the announcement of the prizes, in any Contest-related materials or any platform-related functionality or action. Released Parties are also not responsible for any incorrect or inaccurate information, whether caused by site users, tampering, hacking, or by any equipment or programming associated with or utilized in the Contest. Released Parties are not responsible for injury or damage to participants' or to any other person's computer related to or resulting from participating in this Contest or downloading materials from or use of any website or social media platform. Persons who tamper with or abuse any aspect of the Contest or website or platform or who are in violation of these Official Rules, as solely determined by Sponsor, will be disqualified and all associated entries will be void. Sponsor reserves the right at its sole discretion to suspend, modify or terminate the Contest (or any portion thereof) should any portion of the Contest be, in Sponsor’s sole opinion, compromised by virus, worms, bugs, non-authorized human intervention or other causes which, in the sole opinion of the Sponsor, corrupt or impair the administration, security, fairness or proper play, or submission of entries. If terminated, Sponsor may, at its discretion, select the potential winners as otherwise deemed fair and appropriate by Sponsor. 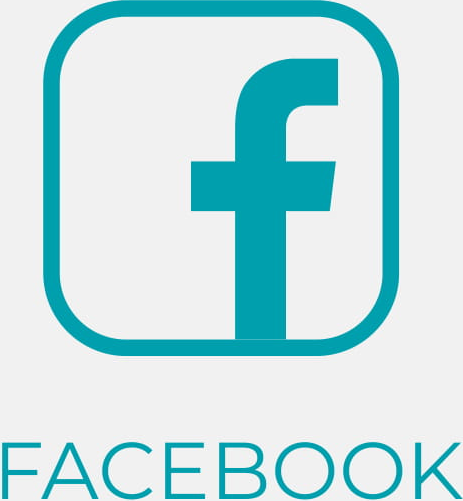 Entrants, by participating, agree that Sponsor, Facebook, Inc., Instagram, LLC, and their respective parents, subsidiaries, divisions, affiliated companies, advertising and promotion agencies and fulfillment providers, and all of their respective officers, directors, employees, representatives and agents (collectively, “Released Parties”) will have no liability whatsoever for, and shall be held harmless by entrants against, any liability, for any injuries, losses or damages of any kind, including death, to persons, or property resulting in whole or in part, directly or indirectly, from acceptance, possession, misuse or use of any prize or participation in this Contest. CAUTION: ANY ATTEMPT TO DELIBERATELY DAMAGE THE WEBSITE OR UNDERMINE THE LEGITIMATE OPERATION OF THE CONTEST MAY BE IN VIOLATION OF CRIMINAL AND CIVIL LAWS AND SHOULD SUCH AN ATTEMPT BE MADE, SPONSOR RESERVES THE RIGHT TO SEEK DAMAGES AND OTHER REMEDIES (INCLUDING ATTORNEYS’ FEES) FROM ANY SUCH INDIVIDUAL TO THE FULLEST EXTENT OF THE LAW, INCLUDING CRIMINAL PROSECUTION. 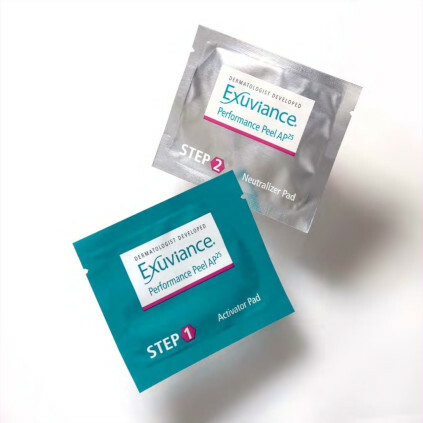 WINNERS LIST: The name(s) of the winner(s) will be posted on the Exuviance Instagram and/or Facebook page following the end of the sweepstakes. SPONSOR: Neostrata Company Inc. 307 College Road East Princeton NJ 08540]. This Contest is in no way sponsored, endorsed or administered by, or associated with, Facebook or Instagram.